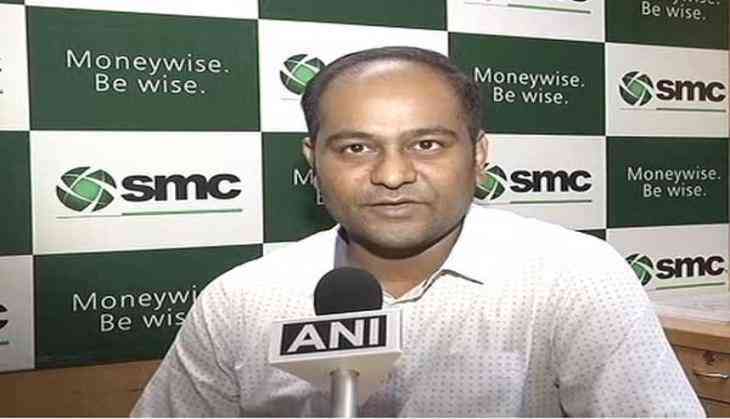 With the National Stock Exchange's (NSE) Nifty crossing the 10,000 mark earlier on 25 July, market analysts believe that this new feat can be attributed to the ongoing economic reforms in the country, which is infusing confidence among investors. "India is presently witnessing many economic reforms. With inflation cooling down, the Reserve Bank of India (RBI) may go for a rate cut. There is also ample liquidity in the market. The mutual fund industry is sitting on a cash pile of Rs. 50,000 cra and any new correction becomes short-lived. All this is infusing confidence among investors," market analyst Saurabh Jain told ANI. With the new high in the Indian indices, Saurabh believes that the trigger is backed by market conditions globally, with inflation still subsiding during the monetary evacuation stage. "The momentum looks bullish. Any jolt will come externally, like an in orderly monetary evacuation from markets in the United States, Europe and so on, although historical returns may not come soon since earning growth needs to catch up," added Jain. In his message to new investors, Saurabh urged the former to avoid putting money into equity directly. Rather, he said investors must look at investing into income fund, since direct exposure is lesser. The Nifty for the first time crossed the 10,000 mark in the opening trade on 25 July. While the Nifty was recorded at 10,011.30 earlier, it eventually lowered to 9,966.75.